Inching closer to the busy holiday season, Verizon customers have a lot to be thankful for because they’ve been blessed with a handful of quality smartphones this year alone – and it doesn’t look like it’ll be slowing down anytime soon! 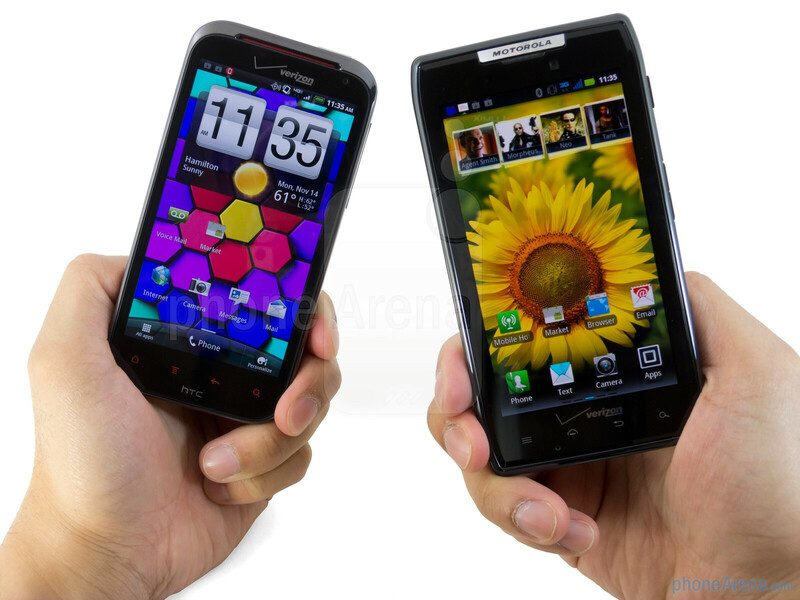 Very recently, both the Motorola DROID RAZR and HTC Rezound launched to an awaiting audience that have been spoiled time after time with devices deemed to be the most cutting edge, but now they’re probably thrown a pickle in contemplating which one to side with. Obviously, the two Android powered smartphones are vying for supremacy, but in the end, there can only be one that can seemingly claim the coveted top spot. Being one of the most crucial things for a smartphone, its appearance can really set the tone on whether or not it’ll have the allure to reel in consumers. Knowing that, there’s no arguing that the Motorola DROID RAZR essentially has all of the design characteristics to make it so beloved from everything else out there. Like seriously, looking at its razor thin construction is a marvel to behold on its own, and to complement its chic looks, it’s graced with a Kevlar coated back cover, stainless steel interior core, Gorilla Glass, and water repellant nanocoating. 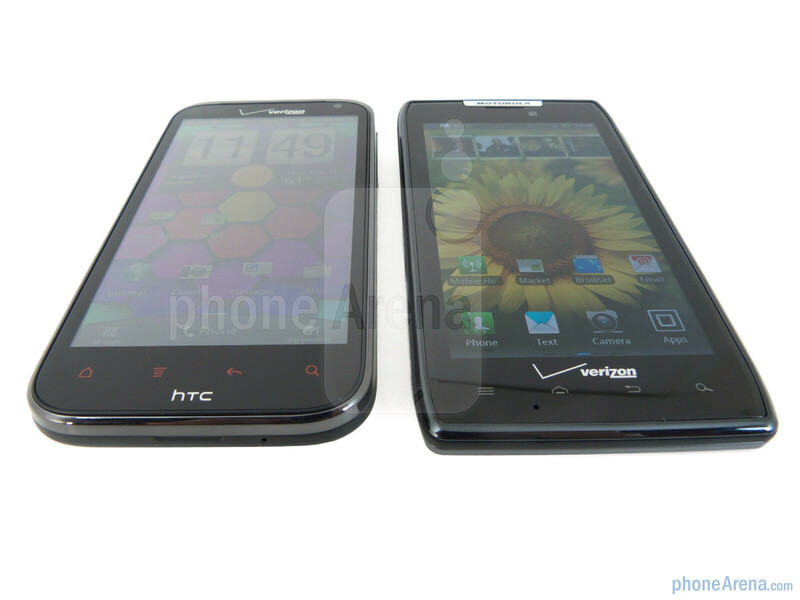 Well, it’s not to say that the HTC Rezound is ugly looking, rather, it looks like any other handset out there on the market, and it is bulky, almost twice as fat as the RAZR. As we know, the HTC Rezound features a 4.3” S-LCD display that’s stupendously detailed thanks to its 720p resolution (720 x 1280). It’s unbelievably profound as we look at them up close and personal – or when fine text is displayed. Everything is so much more detailed, that it looks just way better. 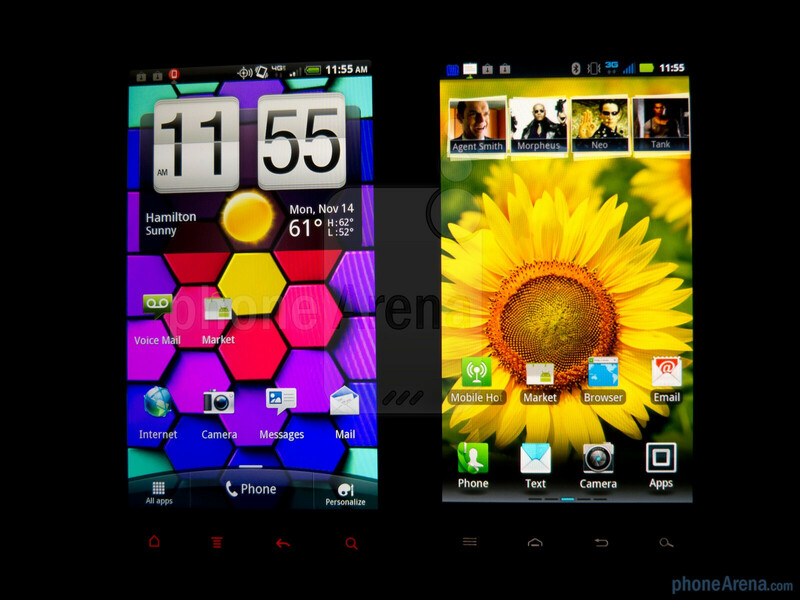 Conversely, the 4.3” Super AMOLED display on the DROID RAZR is compelling on its own, despite its lower qHD resolution (540 x 960), thanks to its higher contrast, saturated colors, and piercing brightness output. Yes, we absolutely love the detailed 720p display on the Rezound, but in terms of everyday practicality, our eyes are easily more attracted to the DROID RAZR as well. 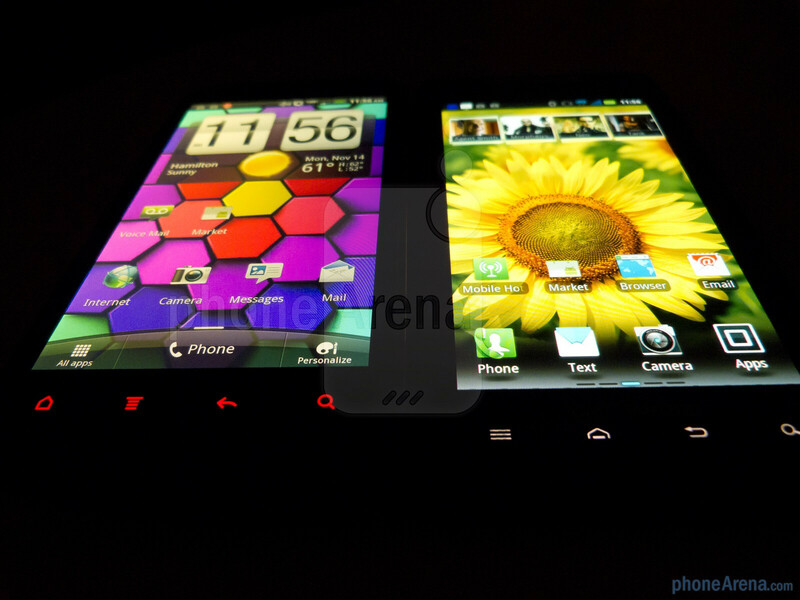 If you turn on both handsets in a dark room full of people, we’re confident that people will gravitate towards the DROID RAZR. Indeed, the red glow found with the Rezound’s capacitive Android buttons are undoubtedly eye-catching, but thankfully enough, we didn’t experience any accidental presses with either smartphones. Between the two, our fingers easily prefer the distinctive and responsive dedicated power button and volume rocker of the Motorola DROID RAZR – whereas, the Rezound’s buttons are simply indistinct. Perched above their displays, we find their respective front-facing cameras. 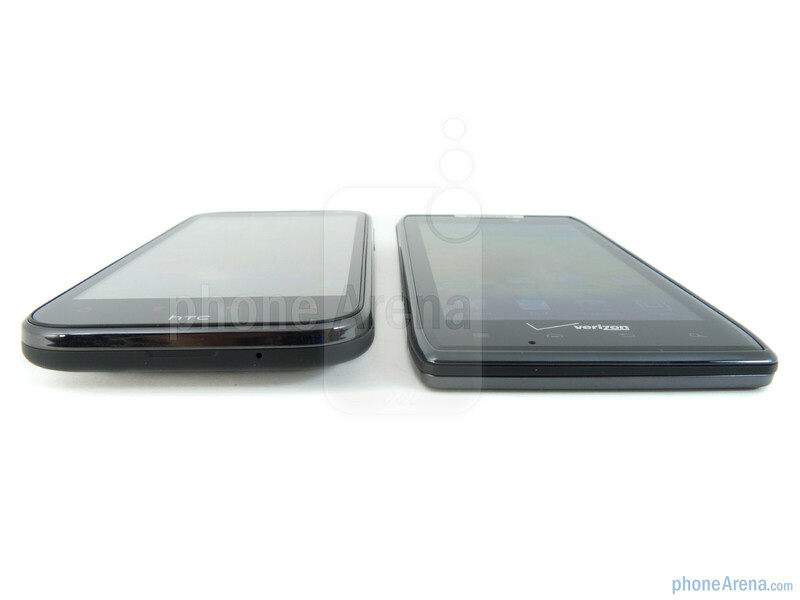 Specifically, it’s a 2-megapixel one on the Rezound and a 1.3-megapixel shooter on the DROID RAZR. Lucky for all of us, they feature standard connection ports like a 3.5mm headset jack and microUSB port. 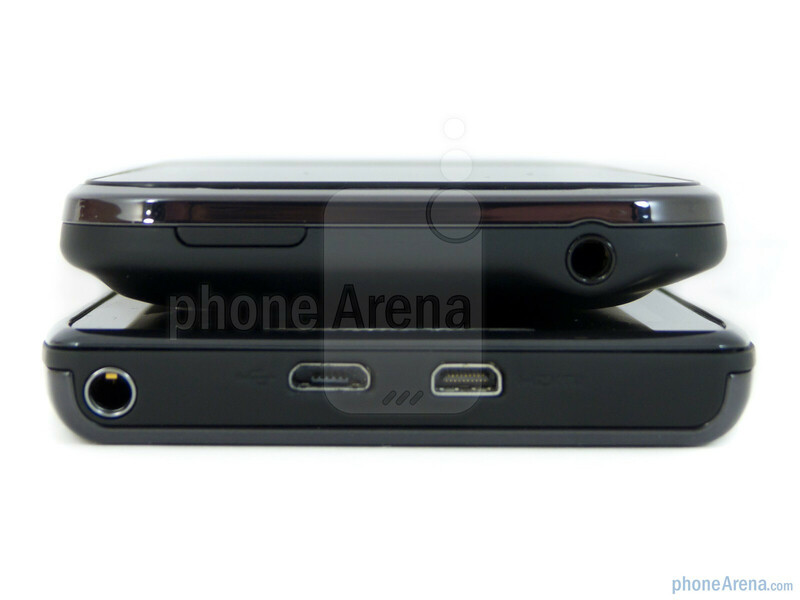 With the Rezound, its microUSB port offers video-out functionality, which requires the aid of an optional MHL adapter. 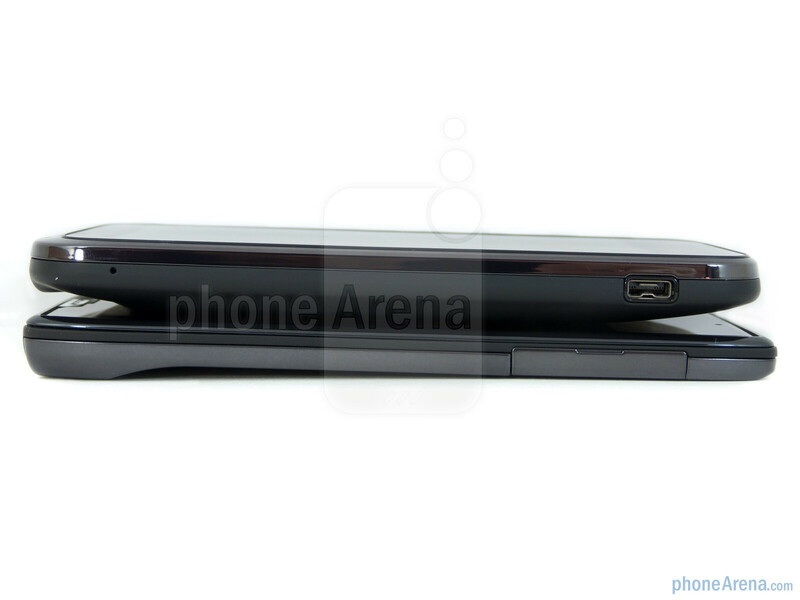 Meanwhile, the DROID RAZR has a separate microHDMI port to offer the same functionality very quickly. Flipping the two over, they both feature 8-megapixel auto-focus cameras, but the Rezound’s camera is the juicier of the two for the fact that it packs a dual-LED flash, backside illumination, and a wide-angle F2.2 lens. Moreover, the Rezound’s back cover can be removed to gain access to its internal battery, SIM card slot, and microSD card slot. Well, in order to maintain its svelte waistline, the DROID RAZR’s battery is not something easily accessed by normal human beings, rather, it’s locked away inside its shell. The specs on the Rezound look more impressive and the picture quality was AMAZING! 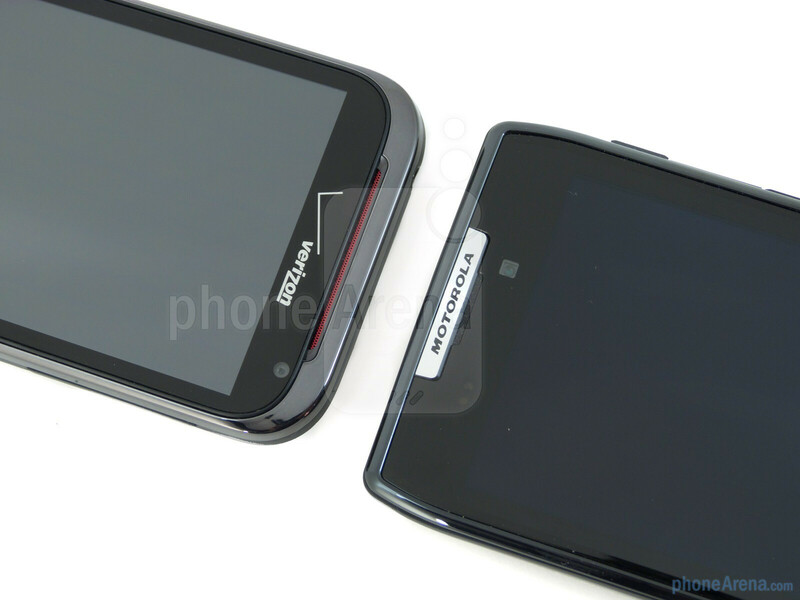 But..... you can't pass up the great look that the Razr offers, the Rezound looks to chunky in my opinion. I think I'd pick the Razr myself. Exactly - I feel this comparison is incomplete without the Nexus. As a VZW customer with an upgrade right now, I'm not making any decisions until next week when I can compare all three. Go for one of them now and then when the Nexus comes out switch it if you like it. Starting today we can return phones until the 9th of January. I'm patient enough that I'd rather wait a week than pay a $35 restocking fee. I've waited 2 months; what's another week? Heres how i see it. 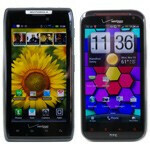 The RAZR will sell best because it is part of verizons droid line up. The rezound will be good for the time being until htc comes out with a new phone...which probably already happend...and the nexus will be the best of the bunch. Even with ces just around the corner the nexus will be the only one with high sales into next year as we saw with the nexus s. Also the nexus has everything optimized for ics (smoothest), no buttons, nfc, big screen for on screen buttons, the charging dock thing, good battery life, and plenty other things. 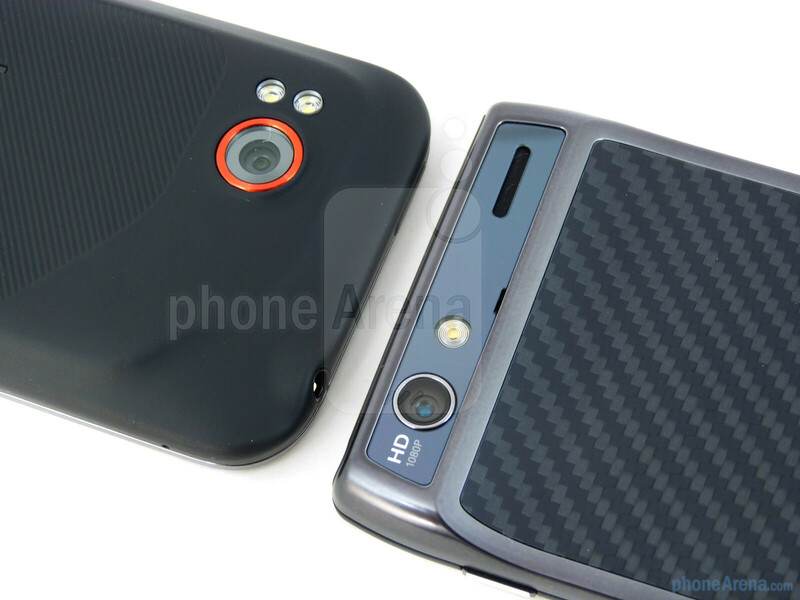 I am interested though in benchmark test as well as the front facing camera, motos 1.3mp vs htc 2mp. Did you guys get a chance to test out these factors? Also what about gaming performance? The fatness and Sense of the Rezound is keeping me away and the ugliness and Motoblur of the RAZR is keeping me away. All of which keeps gravitating me more towards the skinless, bloatless, damn good looking GNexus. My uncle had offered a Galaxy Nexus for me. But, i declined it. Probably, the Galaxy Nexus users will be the first to face all of the damn bugs. Android is great. But I dont think theres an Android phone that will survive without pulling the battery out. DROID RAZR is a no no. There is a hard reset by holding the volume rocker and power button for 10 seconds. This is something extremely simple to implement, they couldn't have gotten this wrong. And just clicking this on the Nexus will take a screen shot. ICS FTW! 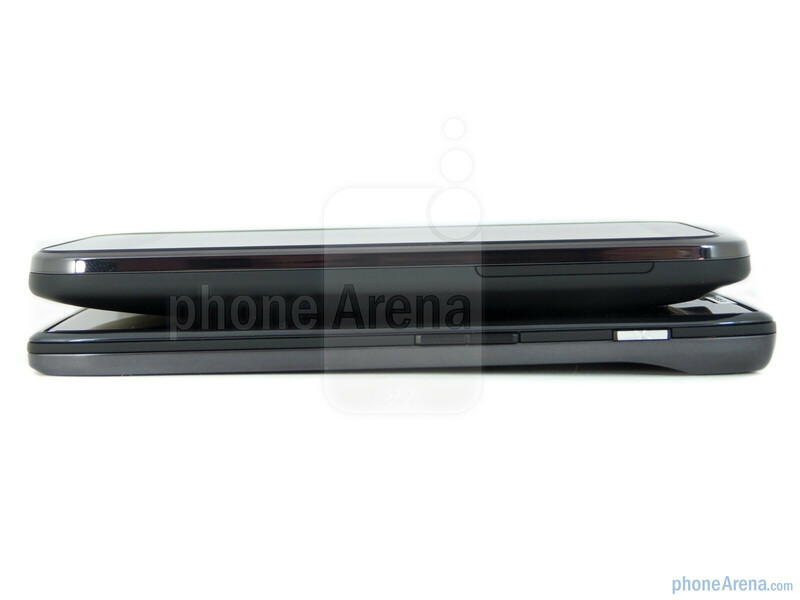 The Droid razr has a very easy hard reset procedure which is used to overcome the screen freezing problem. motorola knew well in advance about thsi problem before they actually designed this phone so having a non-removable batetry is not a problem. Also, look at iphone 4 which also has non removable battery and it will also freeze up the screen but it sold so well world wide, that means people dont care much whether the battery is removable or not, so it is not a factor to consider. Verizon customers are so lucky! lucky but it is a really tough choice to upgrade right now. 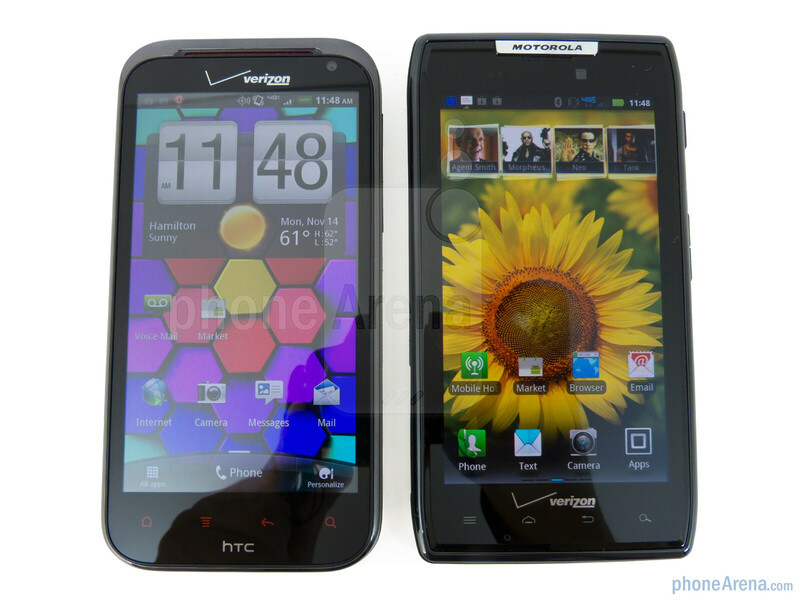 I'd honestly rather have a white Galaxy S2 than both of these. Verizon's HTC products do seem behind the times hardware-wise. With the exception of the screen (which is a big exception!) 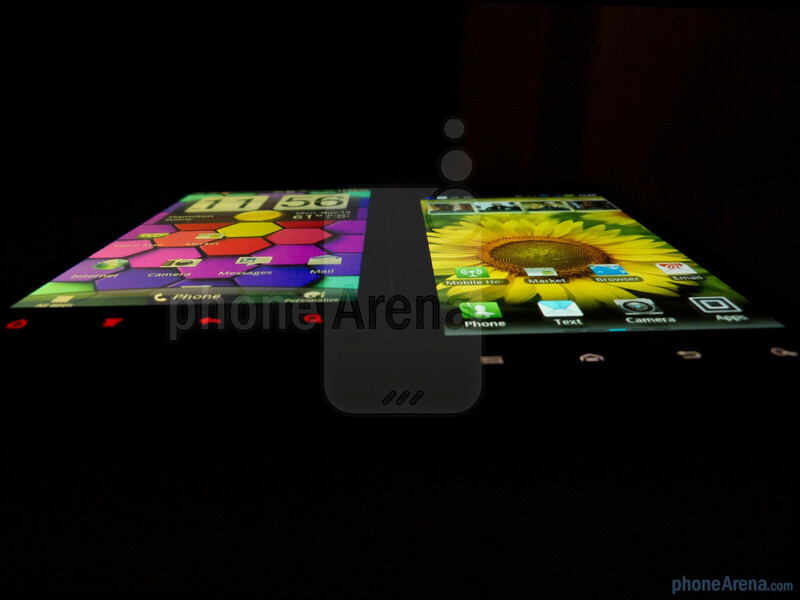 the Rezound is very similar to the EVO 3D and Sensation which have been on the market for half a year. Similarly the TBolt was essentially an LTE EVO. A few of us here hoped the Rezound would be the first S4 phone, but that's not how they've been operating the last year or two. I read the spec sheet and it appears that the 4460 may just be a little faster, running in the range of 1.2-1.5 GHz. The 4460 also bumps up the clock speed significantly on the GPU. The 4460 also has improved hardware support for 1080p video recording/playback. The 4470 allows for the processor to run in the range of 1.5-1.8 GHz. the 4470 also has a dedicated 2D graphics core i believe. the 4460 only has a slightly higher clocked GPU over the 4430, it'll barely be noticeable in real world performance. 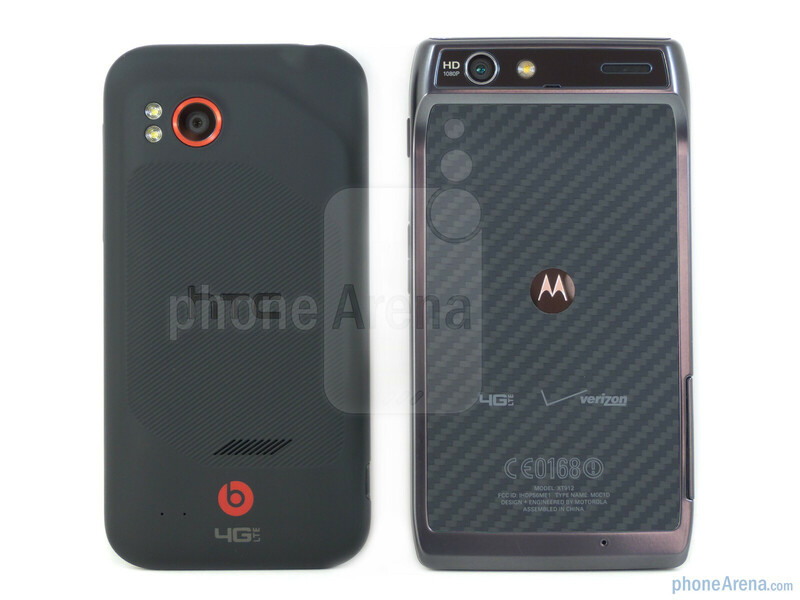 So ppl will be lulled by the more Ghz of the Rezound....and the RAZR is on par or better and clocked slower? That will mean less heat put out too right? Ppl really need to do research before buying Android phones. yeah, i remember going into a T-Mobile store to see the Galaxy S II variant they have and the guy was trying to tell me it\'s faster than the other variants because of the 1.5GHz clock frequency and i was like yeah, okay guy. xD the Razr is in fact better and yes the lower clock frequency will create less voltage therefore less heat and better battery life. as far as battery hogging resources go this thing has the most so you can expect it to have terrible battery life. i don\'t think this should\'ve been put out without either an MSM8960 which is a more power efficient processor or a bigger battery. My Rezound just scored 5616 while running a whole bunch of programs at the same time (not sure if that makes a difference). According to the bench mark, the Nexus and S II were only slightly better. Everything has been super quick so far. No complaints except the bloatware which hopefully Ill be able to root soon.